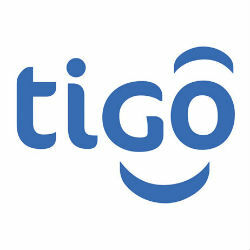 Tigo announced during the current 16th conference of Financial Institutions held in Arusha that it is pushing for mobile money interoperability between all networks so that customers have easier and safer access to money. Tigo Tanzania introduced money transfer services “Tigo Pesa” back in 2010 to allow for money payments and transfers via its mobile network. Similar services are now provided by all major mobile operators in Tanzania. Also speaking at the conference, Bank of Tanzania’s Governor Professor Benno Ndulu estimates that in the last two years total money transactions via mobile network reached TZS 1.7 Trillion (USD 1.06 Billion). He stated that “the number of monthly financial transactions mainly payments and transfer made through mobile money was TZS 1.9 Million. In September 2012, this number skyrocketed to TZS 48 Million, and the total value of monthly transactions increased from TZS 1.8 Billion to TZS 1.7 Trillion”. Professor Ndulu added that the Bank of Tanzania estimates showed that the value of mobile money transaction reached an impressive 14% of commercial bank’s total private sector deposits.